Google folds ChromeOS into Android. Sundar Pichai at Google I/O in San Francisco, June 28, 2012. Whether or not you’ve noticed it, we’re all on a runaway train together hurtling toward the convergence of mobile and desktop operating systems. Sounds exciting, right? That’s why I threw in the train. Google announced Thursday that it will merge its widely used mobile operating system Android with its PC offering Chrome OS. The Wall Street Journal reports that Google has been working on this project for two years and will complete it in 2017, with previews or some sort of demo out next year. 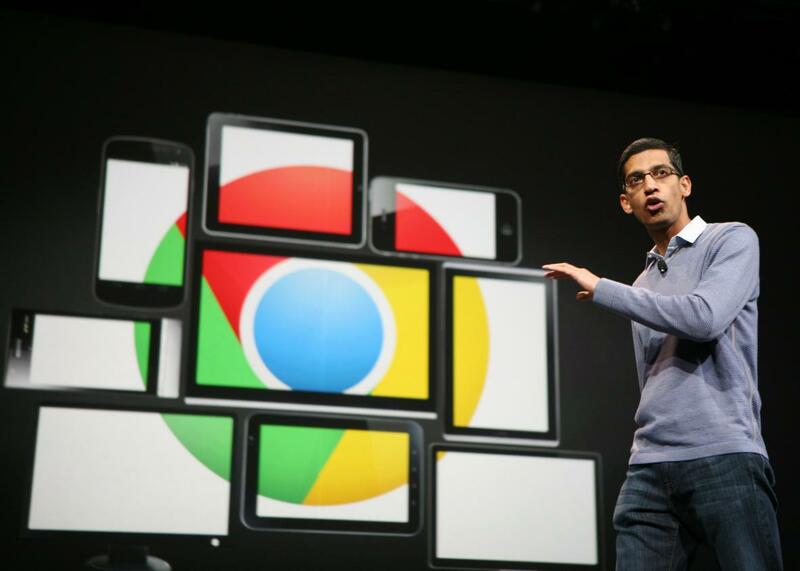 This means Chromebooks (laptops running Chrome OS) will essentially become mobile devices. Or put another way, everything will become everything. No more categories! For once, Microsoft is way ahead. This summer the company announced its latest operating system, Windows 10, which completed the transition between mobile and PC operating systems that Microsoft had been foreshadowing. As with Google’s initiative, the goal seems to be a smoother experience across devices and a more efficient environment for developers. In Microsoft’s case, PC Windows was obviously the behemoth and the mobile category was small. For Google, mobile is huge and desktop is tiny. With Microsoft and Google now both on board, Apple seems to be lagging behind in combining its operating systems: iOS and OS X are still separate entities. But the company has increasingly interlinked the two, and the difference is that desktop and mobile are both big categories for Apple. It’s not as obvious how one would fold into the other. In the long term, universal operating systems will be convenient, but not truly universal. Like the PC vs. Mac wars, streamlining operating systems will only add pressure to commit to one ecosystem. There will be less incentive for companies to make gadgets interoperable. On the other hand, it will be even easier for devices to stand on their own as discrete entities with full capabilities. It may feel gradual now, but it’s coming.